Do you have a sweet tooth? Well the answer has just arrived in the all new Payaso Dulcineas Cookies! 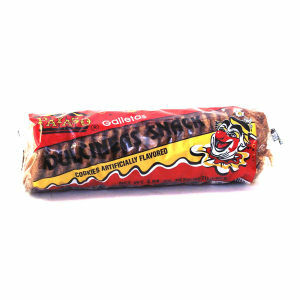 Payaso Dulcineas are a tasty new treat that the whole family will enjoy. Serve them for breakfast, lunch or even a late night snack. Packed in a convenient 4.94 ounce package to guarantee freshness.